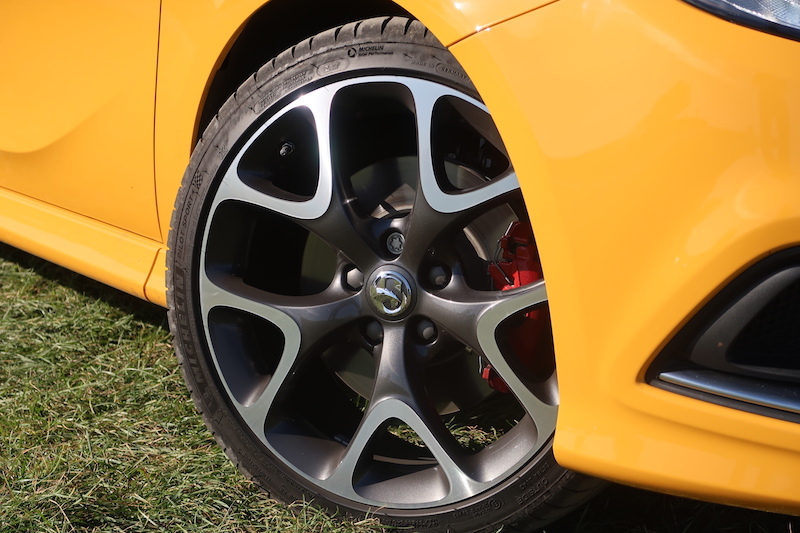 For most Vauxhall fans, there are three letters that will get the blood pumping – VXR. However, for the time being, the VXR division has been shut down following the takeover from PSA. 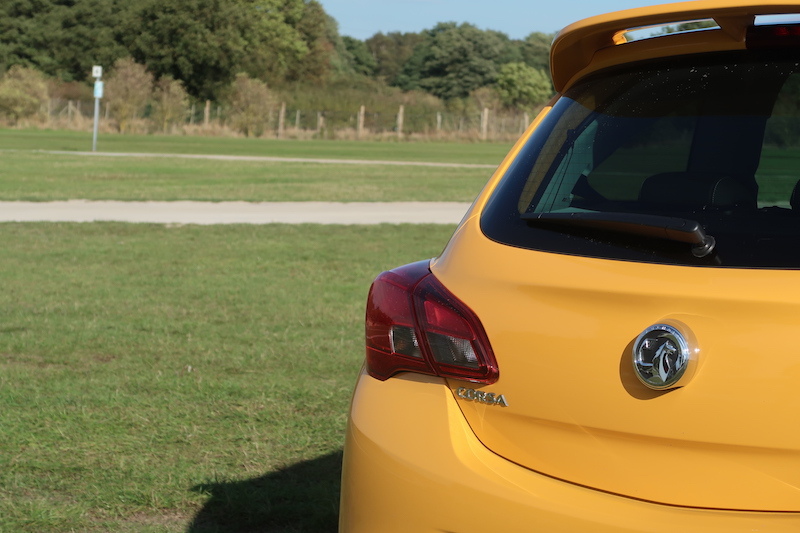 Fear not though, as Vauxhall is now able to offer another sporty hatch, which bears three different letters that older readers are likely to recognise – GSi. GSi is a badge that Vauxhall has brought back after it last featured on sporty Corsas 25 years ago. 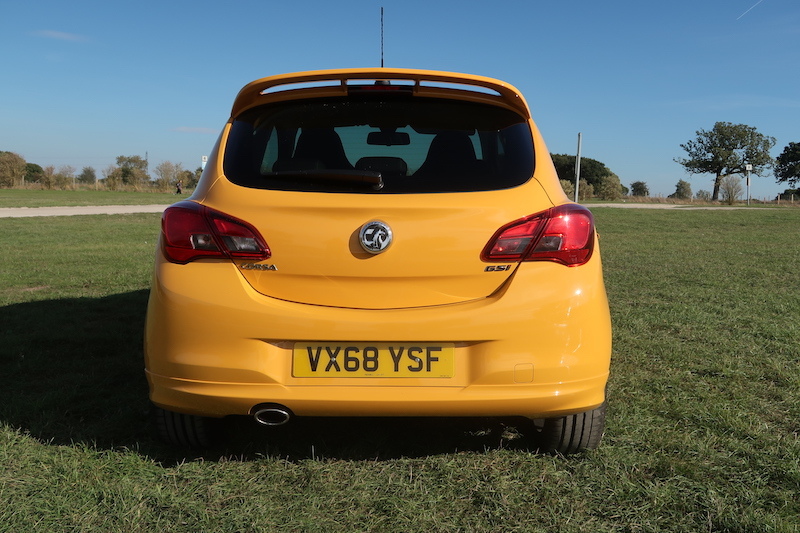 If you’re looking for a like-for-like replacement for the VXR, then I’m afraid you will be disappointed. That’s because it kicks out ‘just’ 150hp from its turbocharged 1.4 litre petrol engine, so it’s not really what you’d call a hot hatch. Well, not by today’s standards anyway. Along with its modest 150hp, the GSi also offers 220Nm of torque. This power is fed to the front wheels via a 6-speed manual gearbox, and as you would expect, the performance is far from trail-blazing. A rather pedestrian 8.9 seconds is how long it will take to get to 62mph and the top speed is 129mph. So if you’re looking for bragging rights, you won’t get very far with this car. 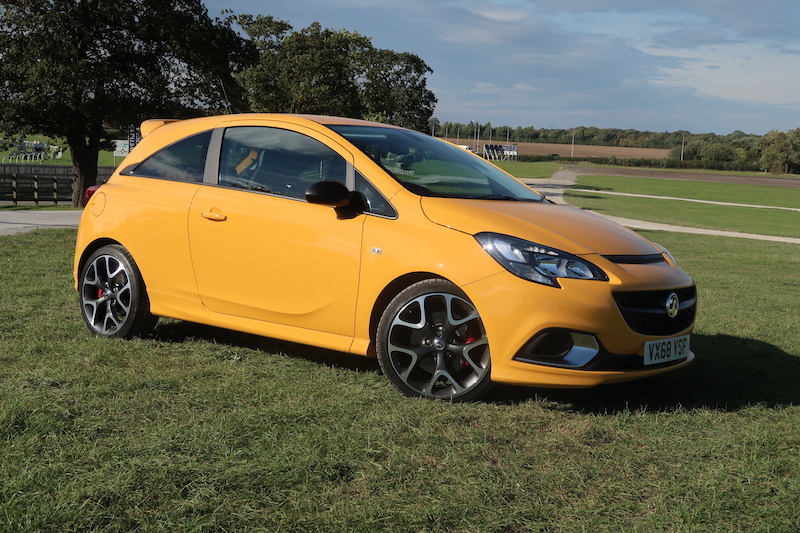 To begin with, the Corsa GSi may not sound like a very enticing VXR replacement, but there is some good news. It may lack the power of the VXR, but does offer a very similar and it’s also built on the same chassis. This means that you get the same Koni dampers and firm suspension setup for a keener handling set up. It also offers a similar level of styling, so for an untrained eye, it could well be a VXR. My time with the car was short, but it didn’t take me long to realise one thing about this car – the road noise. As I slip in to a national speed limit road somewhere in Wetherby, the first thing to strike me was just how loud the tyre roar is. Yes, it’s a sporty hatch, therefore refinement will not be a priority, but trust me, even for a car of this type, it’s intrusive. It is worth noting that the model tested here had the optional 18″ alloy wheels, but that still doesn’t excuse the sheer amount of noise entering the cabin. These alloys may be good looking, but a lot of road noise is produced from them. I don’t want to dwell on that too much though, as that’s just one part of the driving experience. Plus, this is sporty(ish) car, so I’m sure you want to know more about the performance. Cars like the Suzuki Swift Sport feel faster than they are on paper, but I’m afraid that is not the case for the GSi. It’s not desperately slow, but at the same time I doubt it will ever fill you with any fever pitch levels of excitement. The engine does get quite boomy as you approach the redline, and it definitely feels like a case of “all show and no go”. On the plus side, it does offer up a decent enough burble when you first turn it over. The ride, as you would expect from a VXR-inspired car is firm, but it does feel noticeably more compliant than the VXR Performance Pack model I tested last year. That had a ride that would make your bum winch just by looking at it. Talking of comfort, the model tested here has the optional leather Recaro seats (£1,055), and whilst they are supportive, they are quite firm. 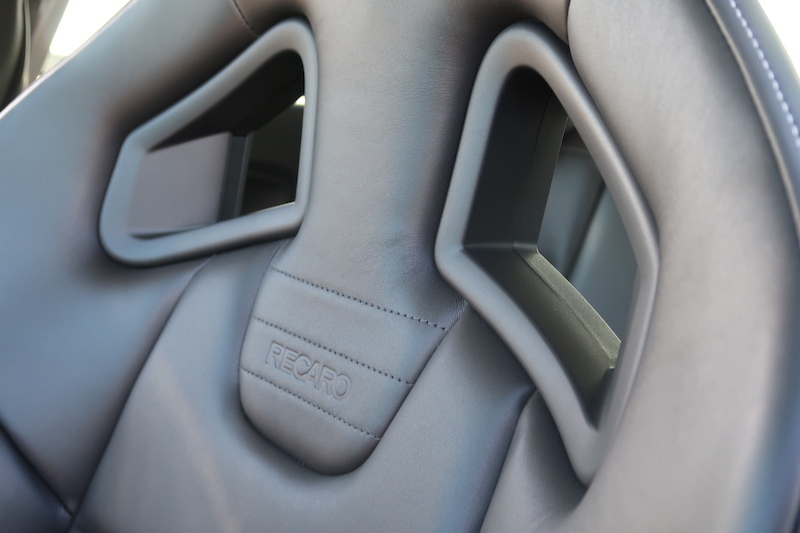 They certainly don’t pull of the trick of being supportive and comfortable like the various Recaro seats Ford is able to offer you – sorry Vauxhall. Oh, so this is just a big slab of orange disappointment? I’ll be honest, halfway through my drive, I was pondering the point of this car, as it’s essentially a VXR with a smaller, less powerful engine. However, before I had a chance to seriously entertain that thought, I hit a twisty bit of road. Cornering is where this car really starts to makes sense, as it’s pretty capable. As poised or as balanced as a Fiesta? No, but it feels more rewarding than a VXR. This is bound to be a controversial statement, but bear with me. 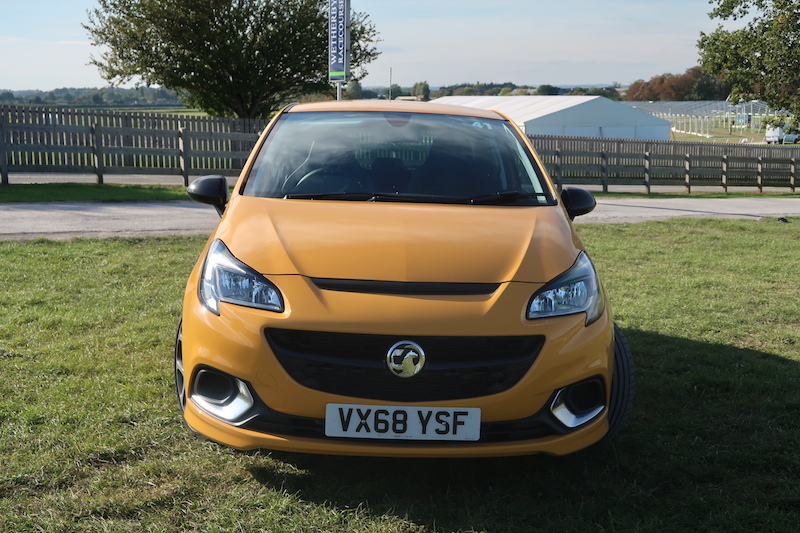 The VXR does handle well, but because the ride was borderline rock hard and it would struggle to apply its power mid corner (even though it had a limited slip diff) it all felt rather unruly. That may be great for some, but I found it took away some of the fun. The GSi is different though. It may not have a trick limited slip differential, but it doesn’t need one, because it’s sending around 25% less power to the front wheels compared to its yobbo brother. Therefore, its handling is assured, predictable, and most importantly, usable. I’m sure there will be some Vauxhall fanboys that strongly disagree with me, but I can only report my experience of both cars, and I find that the GSi is actually a bit more fun in the corners than the VXR. 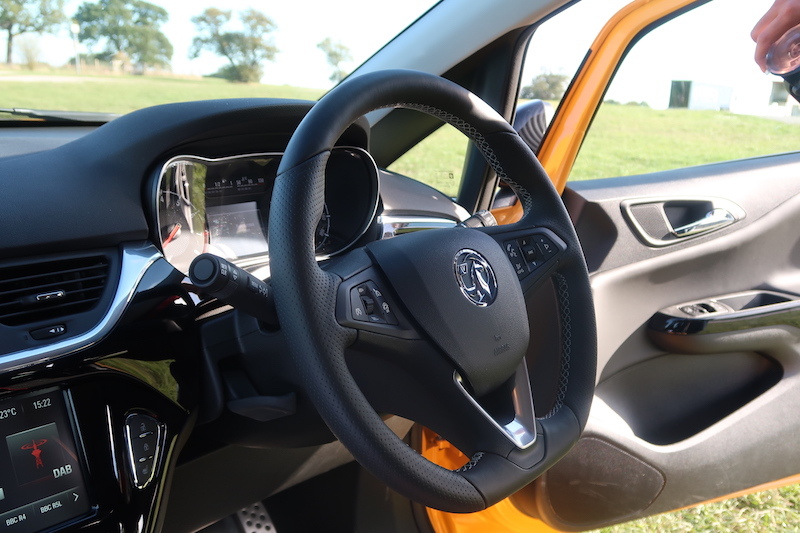 Going back to judging the GSi on its own merits; I mentioned a moment ago, that this concept seemed a bit pointless because “it’s essentially a VXR with a smaller, less powerful engine”. However, it’s merely Vauxhall’s answer to Ford’s Fiesta ST-Line, SEAT’s Ibiza FR, Volkswagen’s Polo R-Line, etc, etc. Would I label them as pointless? No, but I’d rather have the full fat versions, although there is no full fat Ibiza Cupra at this moment in time. Cars such as these may not really appeal to proper petrolheads, but to younger drivers that offer motoring salvation. You get a chance to own a car that looks sporty, but won’t cost too much to buy, insure, and to run. You can essentially have you cake and eat it, so it’s little wonder why a lot of brands are offering halfway house options between their cooking models and their full bore hot hatch models. I’m afraid the GSi is not a particularly cheap car. It starts from £18,995, and I’m sorry, that’s simply too much. To make matters worse, the car on test here is pushing £22,000 thanks to a few options. Its starting price is £1,000 more than the Suzuki Swift Sport, which has more kit, and is a better car to drive if you ask me. It’s not too far off the price for the Ford Fiesta ST, and whilst the ST-1 has less kit, it’s noticeably better to drive, it’s faster and it has a nicer, more comfortable interior. In regards to standard equipment, the GSi is not exactly overloaded with kit, but it should have enough to entertain most buyers. 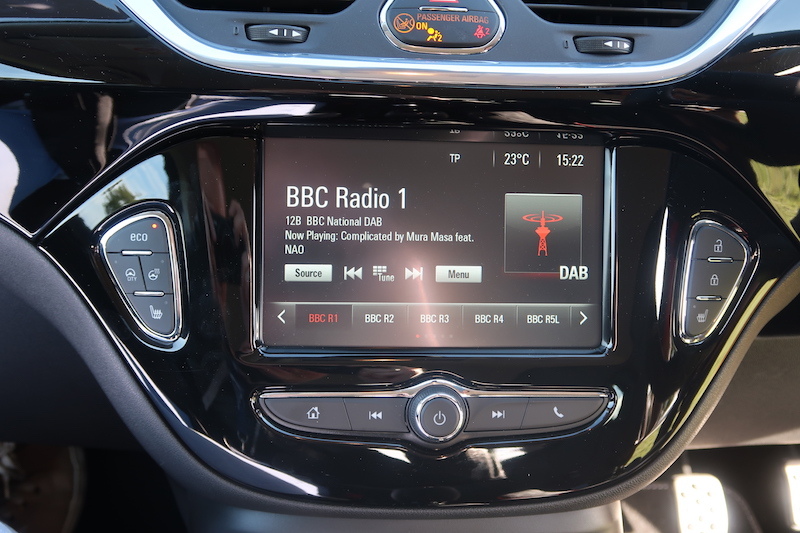 A 7″ touchscreen with DAB radio, Bluetooth and smartphone connectivity come as standard, but there’s no sat nav, although you’ve always got Apple CarPlay and Android Auto to fall back on. 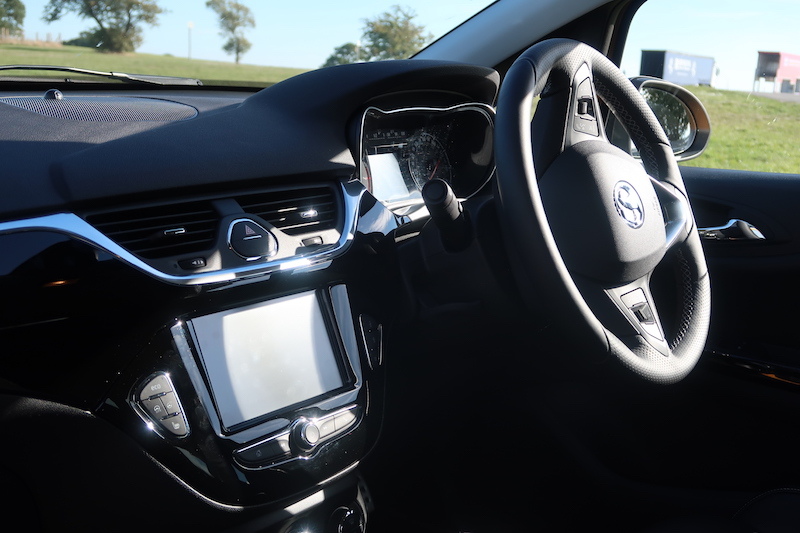 Other standard features include air conditioning, front sports seats, GSi styling, cruise control, tinted rear windows, and LED daytime running lights. Options such as 18″ alloys, Recaro seats, navigation, climate control as well as the light and sight pack can be added, which have all been applied to the car tested here. The concept of the Corsa GSi appears to have good enough intentions, but it hasn’t been executed as well as it could have been. For starters it’s too expensive and it seems to have been built to help void a gap between the outgoing VXR and the release of the all-new Corsa which will take place sometime in 2019. This car then, may not be the return of the GSi that some buyers may have wanted. Previous articleCan You Read A Number Plate From 20 Metres? Mind if you like the look of the Corsa in the pictures, you’ll need to spend an extra ?1,900 for the GSi Plus Pack, to score 18-inch rims, Xenon lights and Recaro seats. Still takes 8.9 seconds to get from 0-ph, mind. Or, you could try a Fiesta ST, for less money. What happened, Vauxhall? Yup, the marketing strategy boggles the mind, doesn’t it?